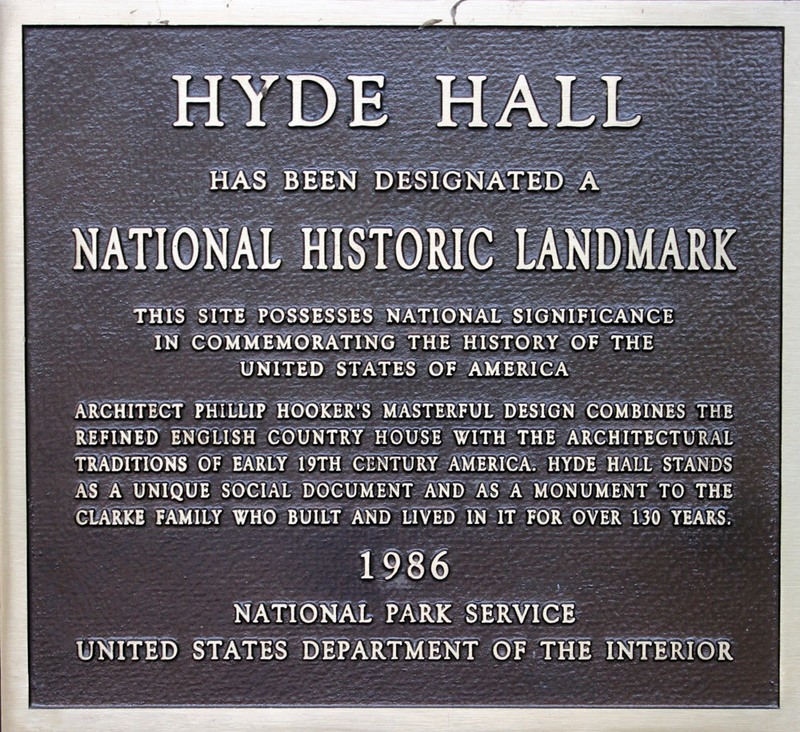 Hyde Hall was designated as a national historic landmark in 1986 due to its architectural significance and the availability of documentation. This was an important designation for the organization as it opened doors for additional funding and benefits that would not otherwise be available. Acceptance as a landmark property allows for access to designated grants and funds through National and State sources as well as private foundations and also allows us to receive a higher priority for funding in some cases. In addition to additional funding sources towards restoration and rehabilitation of the property, we are able to receive technical advice through experts at the National Park Service, and through publications that are made available to us on a variety of preservation subjects. Support is also available for in-depth site inspections to analyze conditions, identify and prioritize recommended work treatments and estimate the costs for implementation of recommended actions. 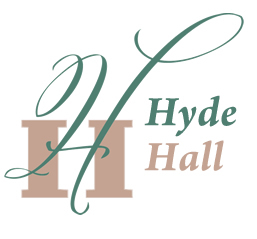 *NOTE: Hyde Hall is a National Historic Landmark that is privately operated by Hyde Hall, Inc., a not-for-profit organization with no affiliation with the National Park Service. We are very thankful for all of the work that went into making this happen back in 1986. 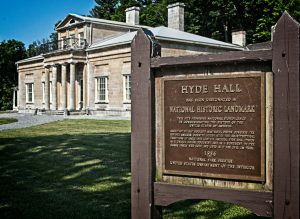 Our designation helps us present a strong case for our ongoing need for funds to continue with restoration work on this outstanding, historically significant property.